That’s the health and safety motto for Kyna MacInnis, Jed Burt and Kelly Williams, workplace occupational health and safety committee representatives and paramedics in Prince Edward Island. 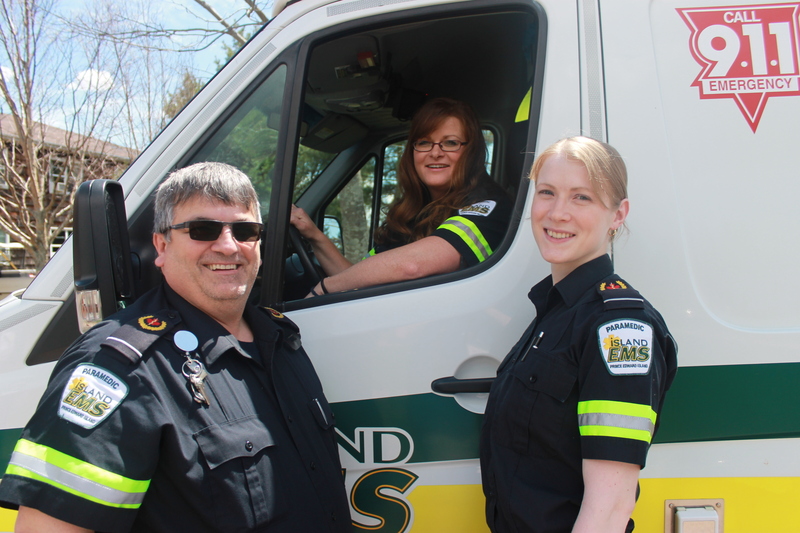 There are six worker representatives on the PEI paramedics occupational health and safety committee, all of whom work from different bases across the province. Although their physical locations may differ, these health and safety advocates know the value of working together to build safe workplaces. “People have to look out for each other and when hazards come up, they have to be prepared to report it to the occupational health and safety representative so that it’s taken care of. A hazard to one worker is a hazard to all workers. Others may not notice the hazards, which could lead to injury,” says Burt. MacInnis is the newest committee member and talks about the collaboration with her colleagues to make their workplaces safer. The committee members describe their relationship with management as a good one, one of working proactively together to make the workplaces safe. “Our supervisors attend the meetings as well so that anything urgent that comes up can be dealt with right away.” says Williams. It wasn’t always that way. Jed recalls that they had some rough times. The six employee occupational health and safety committee members have on occasion gotten together before the monthly meetings to discuss common issues and present a united front to their employer. While working together, all six paramedic bases have seen improvements to their working conditions, including new high visibility jackets and safety helmets; safer cleaning agents for disinfecting ambulances; less roadside postings; and improvements to mental health services, to name a few.